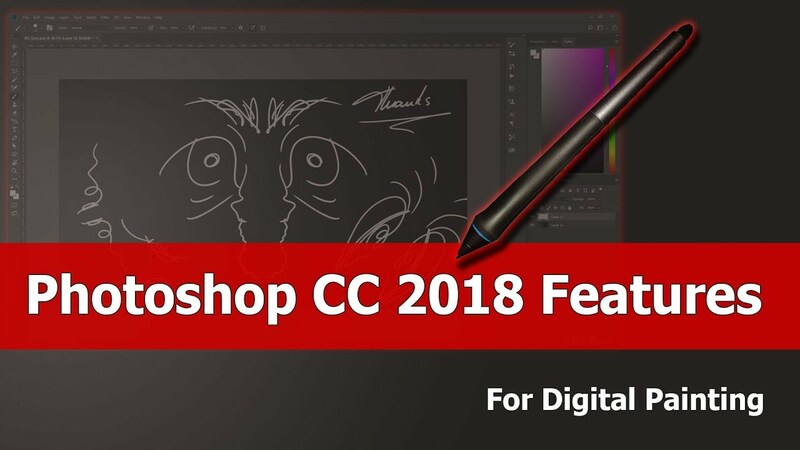 In this short video the new features of Photoshop CC 2018 are shown for digital art and digital painting. I show the in my opinion most important features in Photoshop CC 2018 when you are a digital artist. The guys from Adobe finally added Brush groups, this means you can now organize your brushes using groups (folders). Another great feature that I was waiting for years is Smoothing for Brush strokes, a lazy mouse feature for brushes. I know that many applications like Krita or Clip Studio Paint have this feature implemented from the beginning, but nevertheless I highly appreciate that Photoshop CC also added this now, and it really works like a charm. Last but not least I want to mention the feature for painting with symmetry axis which is a great help when drawing symmetrical paintings or symmetrical areas. You can move, rotate and scale various kinds of axis.